NEW YORK _ A self-described chubby, cross-eyed kid from California edged out two Oklahoma Sooners looking to making college football history for different reasons Saturday at the 70th annual Heisman Trophy presentation. 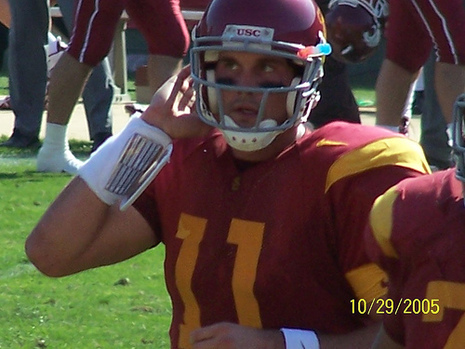 Southern California junior Matt Leinart, quarterback for the nation's No. 1-ranked team, won the nation's premier college sports award by a comfortable margin at the New York Hilton. 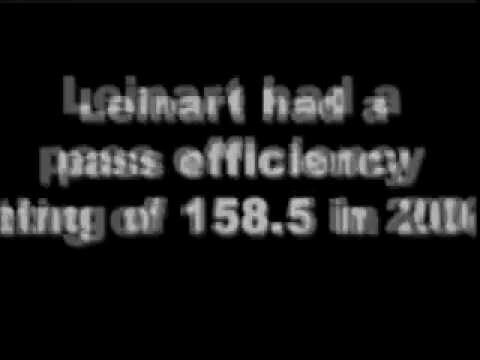 In what was expected to be a close race, Leinart had 328 more points than his closest competitor. NEW YORK - Matt Leinart replaced a Heisman Trophy winner and became one himself. The Southern California quarterback won college football's most prestigious individual award Saturday night, beating out Oklahoma teammates Adrian Peterson and Jason White, last year's winner. In 2002, Carson Palmer won the Heisman as a senior with the Trojans. Leinart succeeded the first overall pick in the NFL draft with a splendid sophomore season that set him up as the preseason favorite this year. Leinart has delivered, throwing for 2,990 yards and 28 TDs and leading the top-ranked Trojans to a 12-0 regular season. "I remember when Carson was sitting up here," Leinart said. "He said his heart was beating out of his chest, I think mine's about to do the same thing." The junior is USC's sixth Heisman winner, tying the Trojans with Ohio State for second-most behind Notre Dame's seven. NEW YORK - There he stood, posing with the precious Heisman Trophy as photographers took what seemed like thousands of shots. 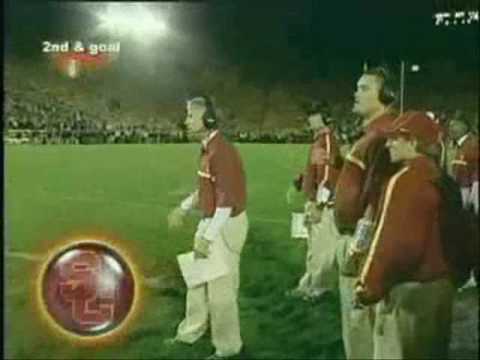 It seemed like nothing could go wrong for USC quarterback Matt Leinart on this night. Except for one thing - he was forgetting to smile for the cameras. After receiving a verbal nudge from USC's sports information director, Leinart carried on for the cameras, clutching the weighty trophy as if he'd never let go, and, of course, wearing a smile all the way. "It's just a feeling you can't describe," Leinart said minutes after being announced the winner of the 70th Heisman Trophy on Saturday night at the Hilton New York. "When they said my name, I was in disbelief and shock." 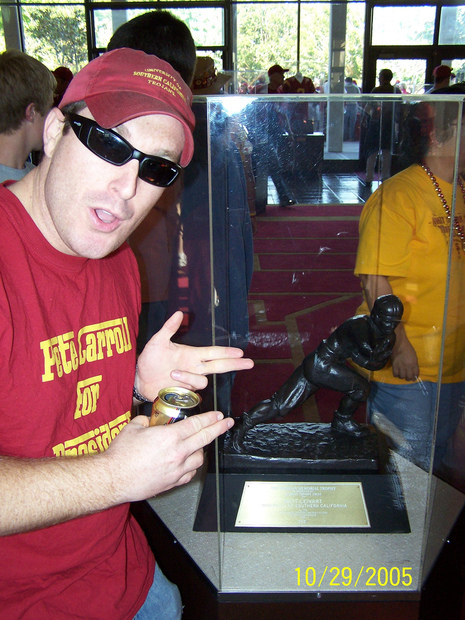 Given to the nation's most outstanding college football player, the Heisman Trophy has become arguably the most prized award in American sports, and Leinart easily beat out four other finalists - Oklahoma's Adrian Peterson and Jason White, Utah's Alex Smith and teammate Reggie Bush - to claim the award, USC's sixth overall and second in three years.